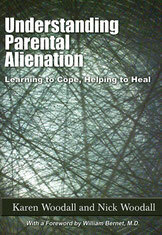 About me - Nick Woodall - family separation practitioner, writer and parental alienation specialist. I am a partner at the Family Separation Clinic. I have worked with families experiencing divorce or separation since 1999 and co-founded the Family Separation Clinic in 2010, having previously worked at the Centre for Separated Families. I focus on working directly with separating families and supporting the whole family to manage change in ways that provide the best outcomes for children. I specialise in working in cases where children are, or at risk of, rejecting a relationship with one of their parents, often referred to as parental alienation. I am a psychotherapist and hold an MA (Hons) in psychodynamic, psychoanalytic and relational psychoanalytic counselling. * I am also a therapeutic mediator, accredited by the School of Psychotherapy & Counselling Psychology, Regents University. I have also worked on family separation policy and service design, delivering projects for the Department for Work and Pensions and Department for Education and developing policy initiatives for the Centre for Social Justice. I provide Part 25 expert reports to court in cases of complex family separation and where children are rejecting a relationship with one of their parents. I also offer parenting co-ordination, dispute resolution and psychoeducation to help parents and their children adjust to the transitions that accompany separation. In addition, I write about family separation and alienation reactions in children. I co-authored Understanding parental alienation: Learning to cope, helping to heal, published by Charles C Thomas in 2017 and The guide for separated parents: Putting children first, published by Piatkus in 2007, with my colleague, Karen Woodall. * Goldsmiths, University of London.